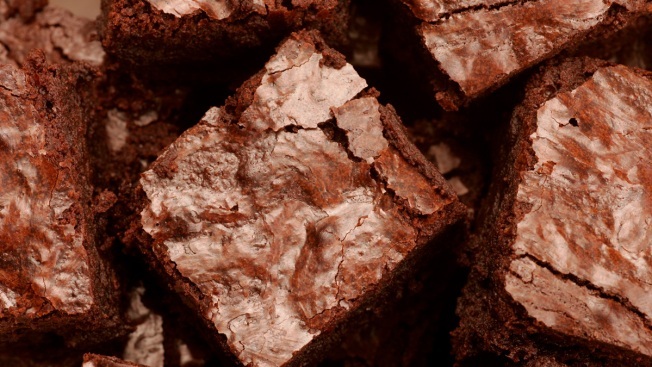 This June 18, 2008, file photo, shows Brownies photographed in the Los Angeles Times studio. Police said a fight over a brownie has left a 14-year-old Houston boy dead of a stab wound to the eye and another 14-year-old boy is in juvenile custody charged with aggravated assault. Houston Independent School District police said the victim died Friday of the knife wound suffered Wednesday afternoon. District Police Chief Paul Cordova said the fight erupted after school Wednesday outside a convenience store across from the Jane Long Academy in southwest Houston. He said that when the victim was loaded into an ambulance, he still acted as if the fight were continuing. No identities have been released because of their ages. Cordova says the incident isn't believed to be gang-related. Jane Long Academy is a neighborhood middle school and magnet high school.